Based on customer demand, and in line with SAFe guidance, InCycle Software created a Feature Progress report for RTEs, POs and other stakeholders assess agile release train (ART) status in real time. Get Started with SAFe Reports for TFS! 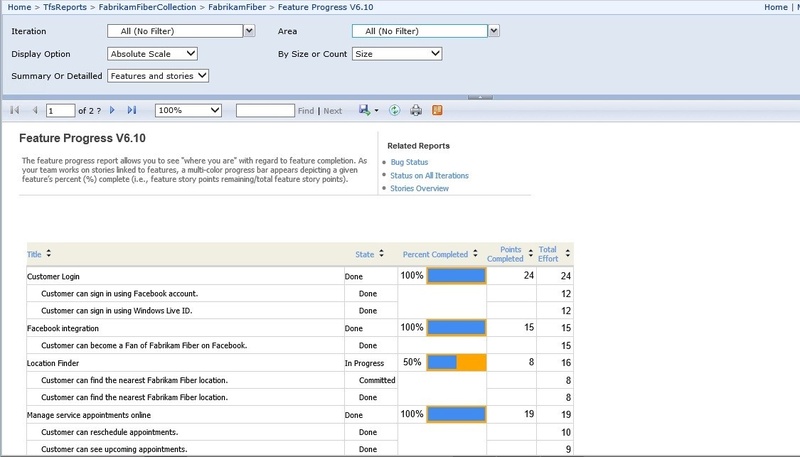 The TFS report allows you to visualize feature completion status. As your team works on stories linked to features, a multi-color progress bar appears depicting a given feature's percent complete (i.e, feature story points remaining / total feature story points).